Poland gave British Prime Minister Theresa May a boost by proposing a five-year time limit on the backstop guarantee of no Border in Ireland. 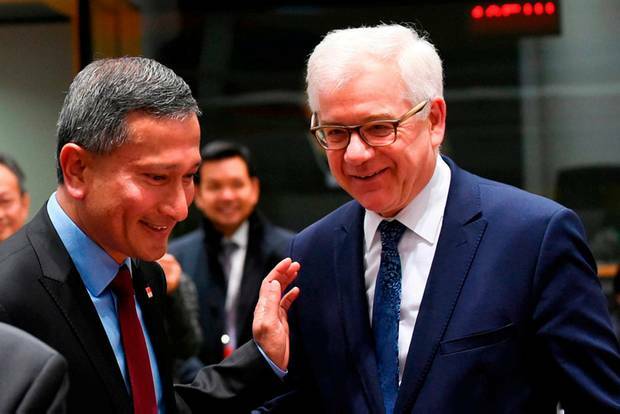 Polish Foreign Minister Jacek Czaputowicz said the UK and Ireland were playing a “game of chicken” over the Border which would end with a “frontal collision” unless a compromise was made. The move caused deep frustration in Dublin, which has always boasted of the unified support from EU members. 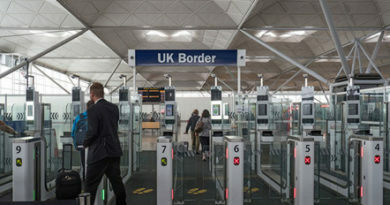 Sources suggested the Polish move was based on concerns of uncertainty for Polish migrants if there is a no-deal, hard Brexit. “There are so many Poles living in England, the Poles need a deal done. They don’t care about Ireland,” a source said. But EU chief Brexit negotiator Michel Barnier insisted that amending the backstop was no longer an option. Meanwhile, Labour leader Jeremy Corbyn has backed plans to allow for a second referendum on Britain’s membership of the EU, bowing to pressure from his own party. Mr Czaputowicz said a temporary backstop, like the one being sought in the UK, would be better for Ireland than no deal, which would inevitably result in a hard Border. “In December, I talked about it in London and Dublin with my counterparts Jeremy Hunt and Simon Coveney. If Ireland appealed to the EU to change the agreement on the backstop in the agreement with the British so that it would apply temporarily, let’s say five years, the matter would be solved,” he said. Warsaw is one of the UK’s closest allies within the EU and has repeatedly spoken out in support of Theresa May and her Brexit proposals – although has always been slapped down. Last September, at the General Affairs Council, Poland’s Europe minister raised the risk of Ireland causing a ‘no deal’ but was swiftly countered by heavyweight core countries like France, the Netherlands and Germany. Tánaiste Simon Coveney said in Brussels yesterday: “Putting a time limit on an insurance mechanism effectively means it’s not a backstop at all”. The EU’s chief Brexit negotiator, Michel Barnier, also insisted that amending the backstop is no longer an option on the table. “The withdrawal agreement with all its dimensions, including the backstop, is the best deal possible,” Mr Barnier said. Irish sources last night sought to play down the significance of Poland’s intervention, suggesting that it may have been a ‘set-up’ between London and Warsaw. Mrs May was subsequently asked about the comments in the House of Commons. The prime minister also promised to go back to the EU in the coming days with a set of new demands aimed at breaking the deadlock in the UK parliament. 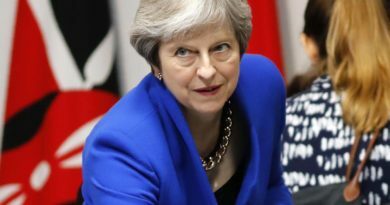 Any expectation that Mrs May would bring new ideas into the public domain died quickly yesterday as she appeared to abandon efforts at cross-party talks. She again ruled out a second referendum, but she resisted calls to rule out a no-deal scenario. “No-deal will only be taken off the table by either revoking Article 50, which turns back the results of the referendum – the government will not do that – or by having a deal, and that is what we are trying to work out,” she said. Instead she committed to “talking further this week to colleagues … to consider how we might meet our obligations to the people of Northern Ireland and Ireland in a way that can command the greatest possible support in the House”. She is to meet with pro-Brexit Conservatives and the DUP, who both say they won’t back her Brexit deal unless the backstop is removed. Opposition leader Jeremy Corbyn of the Labour Party accused Mrs May of being in “deep denial” about her doomed deal. “This really does feel a bit like ‘Groundhog Day’,” he said.